Disclosure: I received free product and monetary compensation in order to facilitate this review. However all opinions below are my own, and not in any way influenced by the brand. A full disclosure can be found at the end of this review. Baby E turned 5 months old, and co-sleeping suddenly seemed effortless in comparison with waking up every 1.5 to 2.5 hours to nurse him during the newborn stage. It was (pretty much) smooth sailing from there. 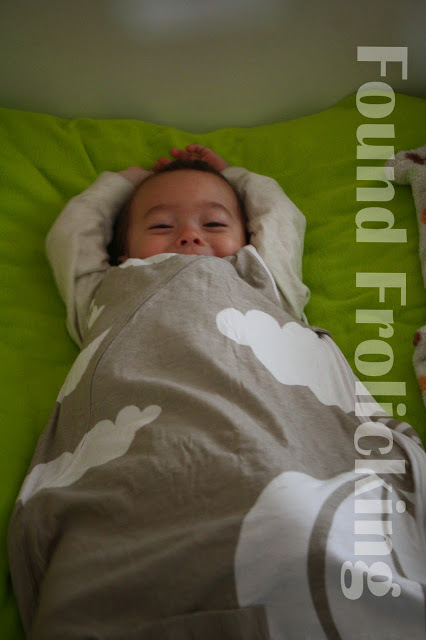 But then, one evening, Baby E started to kick off the blankets any time he stirred from a deep sleep. Pretty frustrating when you share the same blanket with a toddler and the blanket goes flying off you both when it's cold! I would pull the blanket back up swiftly, and then hold into the edge of the blanket for dear life so he wouldn't immediately kick it back off again. It only took a few nights of this lovely new habit Baby E had developed for me to go looking for a solution. Luckily, I confided in my friend B about the situation, and she suggested a product her daughter has been using since she was a newborn. A sleep sack. If you've used a sleep bag on your little one before, you are probably well aware of their benefits. 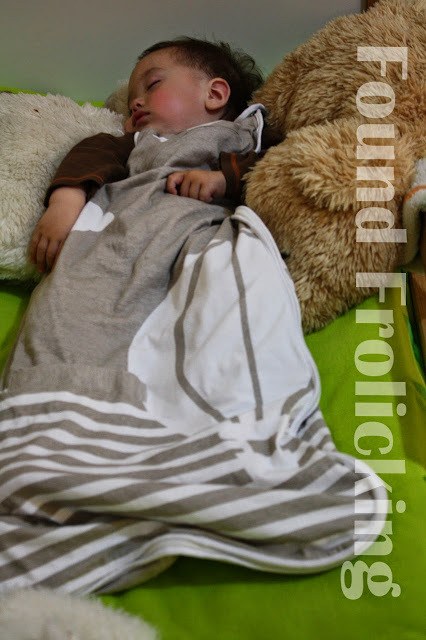 Including keeping your little one warm during the long, cold winter experienced in many parts of the world recently. Love To Dream offers the INVENTA Sleep Bag, available in three different warmth rates. 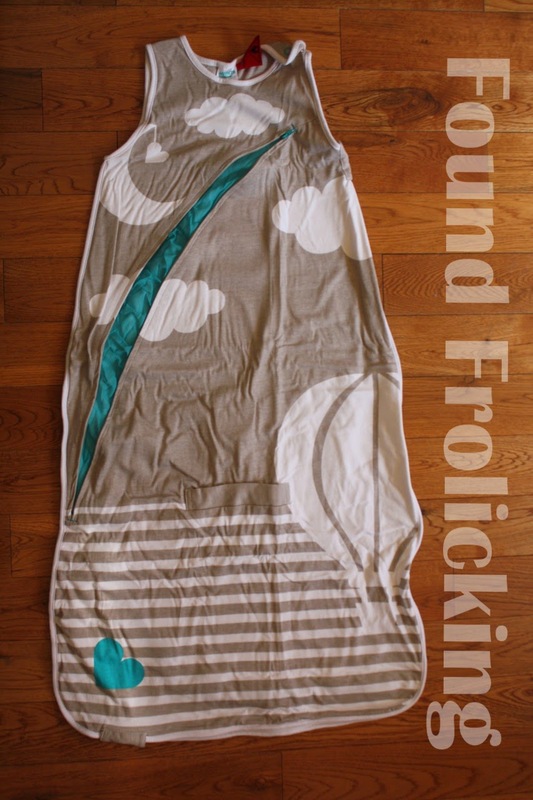 For anyone who bundled up their bundle of joy in a sleep sack all winter like I did, you were probably having the same thoughts as I was just last month: How will I still be able to use a sleep sack as the weather gets warmer? The INVENTA 0.5 TOG Sleep Bag is their thinnest and lightest style, and with the INVENTA Genius Cooling System, it is the smart and easy choice for the warm weather ahead. There are two mesh vents conveniently located in the back and front which can easily and effortlessly be opened to moderate your little one's temperature on hot days or nights. 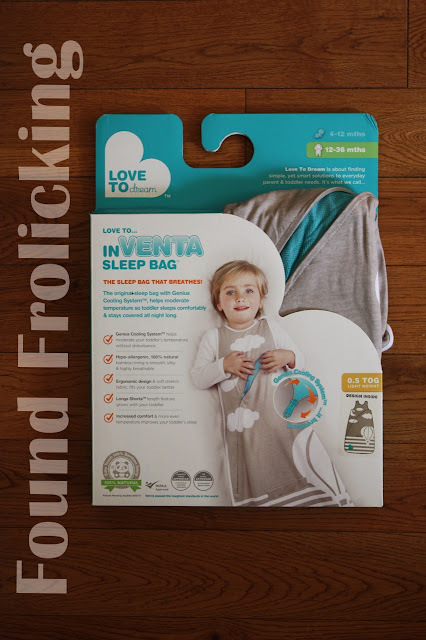 As if that isn't already enough to love, the INVENTA Sleep Bag has a silky and smooth bamboo lining (which is also very breathable) on the interior. 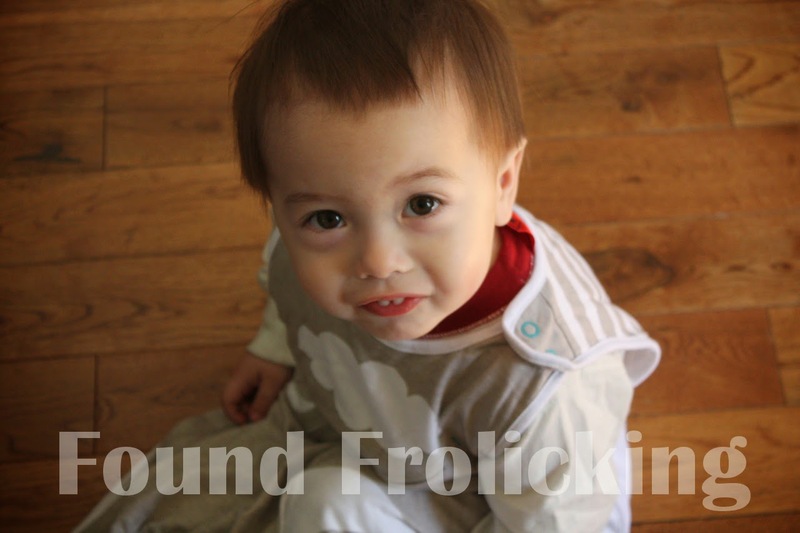 It is hypo-allergenic, has a comfortable ergonomic design, and the Longa ShortaTM feature allowing you to adjust the length as your child grows. The long side zipper, and shoulder snaps make it easy to put on your child even after they've fallen asleep, and allow you to even do diaper changes with minimal disruption. The design for the Love To Dream INVENTA Sleep Bag is very well executed and performs extremely well. I have been putting the sleep bag onto Baby E for both naps and sleeping overnight. Putting it on while he's still awake is obviously ideal, but the design makes it manageable to slip Baby E into even after he's fallen asleep---a huge plus. I did find the first time I unzipped and then zipped up the mesh vent located on the front, the mesh was getting caught on the zipper. However I was able to solve this problem by slipping my finger under the zipper and then pulling the zipper along, preventing any catching from occurring. 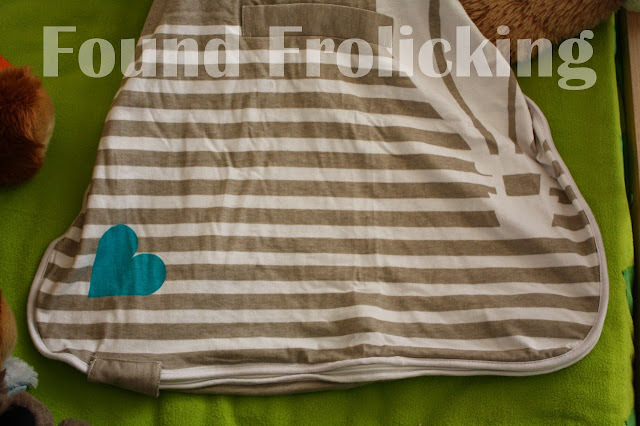 The hot air balloon design is absolutely adorable, and I love all of the soft colors the style is available in. Baby E has spent all of his naps and time sleeping overnight in the INVENTA Sleep Bag, and it's perfect! It's nice and snug on the top, so he isn't able to wiggle his head or shoulder out of it while sleeping as he does with another brand of sleep sack we own. 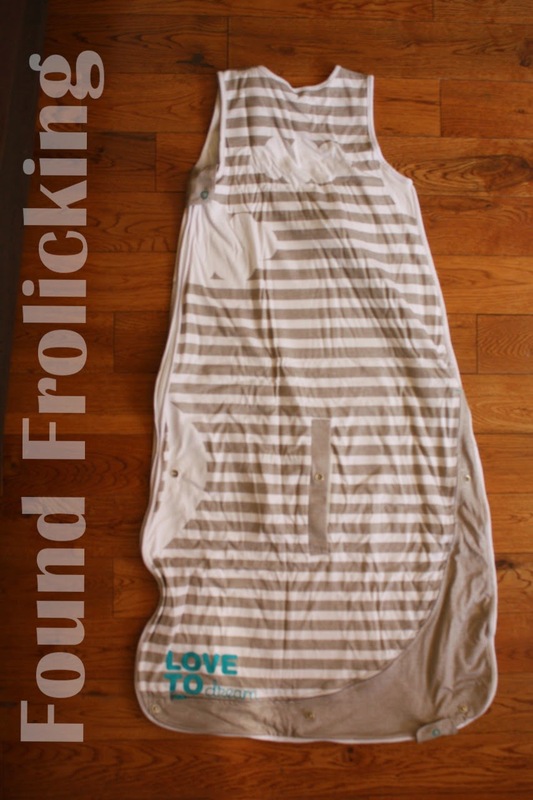 This is my new first choice for a sleep bag, and am happy that I can use it all year long, even on the warmer days thanks to the Genius Cooling System! You can purchase a Love To Dream INVENTA Sleep Bag (as well as many other amazing products) today on the Cariboo Distribution website. You can also find Cariboo Distribution on their Facebook page, follow them on Twitter, subscribe to their YouTube channel for exciting videos, and follow their Pinterest boards. Cariboo Distribution has kindly offered a giveaway of one INVENTA Sleep Bag to one lucky winner! Please take a moment to read the fine print for requirements to enter the giveaway, and follow instructions for each entry properly to ensure your entries count! Good luck!!! The Love to Dream INVENTA Sleep Bag in the packaging. The front of the INVENTA Sleep Bag with the mesh vent open. The back of the INVENTA Sleep Bag with mesh vent zipped closed. A close up of the back of the sleep bag with the mesh vent partially open. Baby E trying on the Love to Dream INVENTA Sleep Bag! Baby E, excited to nap in his INVENTA Sleep Bag for the first time. Fast asleep in the INVENTA Sleep Bag for an afternoon nap! Detail on the bottom of the INVENTA Sleep Bag in "Hot Air Balloon" design. Fast asleep in his Love to Dream INVENTA Sleep Bag for the night. Disclosure: This product was received by myself free of charge, in exchange for an honest review. I may have received monetary compensation for my time. However, all opinions expressed are my own, and were in no way influenced by the brand or any other sources. The review and all photos with the watermark are the property of Found Frolicking, and should not be used or distributed in any way without first receiving permission. If you would like to work with Found Frolicking for a review, giveaway, advertising or promotion of any kind, please email Lalia at found.frolicking@gmail.com. Fine Print for Giveaway: Giveaway open to individuals 18+ who are residents of Canada. Entries are limited to one person per household. Giveaway begins May 12th at 11:59 pm PST, and ends May 26th at 11:59 pm PST. The winner of the giveaway will be chosen at random through Giveaway Tool's Random.org. Winner will be notified via email, and first name and last name's first initial will be announced on the Found Frolicking blog. Please make sure your email address is correct when entered, so that you can be reached if you win. The winner will have 48 hours to respond to the email sent out to them, and should a response not be received within that time, the prizes are forfeited. Please follow the instructions for each entry, as you have to have done what was instructed for your entry to count. All entries will be verified. Found Frolicking is in no way responsible for prize shipment, but will work with the sponsors in all ways possible to ensure the winner receives their prizes. Void where prohibited. Entering using the Giveaway Tools form means you agree to the above terms. Thank you. Love the INVENTA in owl, taupe! The Love to INVENTA - 1.0 TOG Owl in the pink is my favorite! Thanks for the chance to win! My favourite pattern is the Love to INVENTA - 1.0 TOG Owl in pink, and another favourite item of mine from the Cariboo Distribution website is The Shrunks - Kids Travel Bed + Jetaire Electric Pump. My son would love this. I really need to get one. How cute is this!!! My son and my niece will definitely love this! I like that you say its snug up top. When my little guys were babies I was always scared of things getting up over their heads during the night when they wiggled around! These are awesome and so convenient for lil ones. This way moms don't have to worry either. I know when my kids were younger I always checked on them to make sure they were covered. Thanks for sharing. Awww he looks so snugly and comfy. That's the best! Oh! Can I put my 3 year old in this? He loves to crawl into bed with us and then kick us all night. These would help with the kicking! lol! They are rated for up to 36 months on the packaging, but depending on the size of your child it may fit them through well into their 3rd year :). I totally want one of those for me. Don't you think us adults would all be less cranky if we could sleep in one of those every night? ?